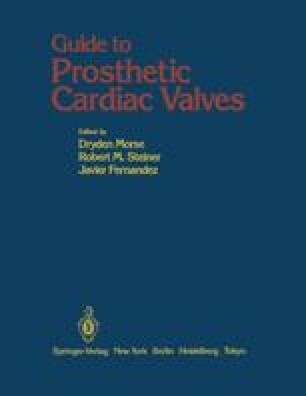 Although much of the theory and application concerning use of prosthetic valves in children is derived from the adult experience, it would be unfortunate to ignore the uniqueness of the pediatric population. We will endeavor in this chapter to cover the breadth of pediatric valve disease and prosthetic valve application, but with weighted consideration of the uniqueness in the pediatric group. There would seem to be in general a pessimistic attitude toward the application of prosthetic valves in children. We believe this is unfortunate, for our experience would dictate an aggressive and optimistic approach. Cardiac valve disease need not be approached with any more trepidation in children than in adults.